Of the websites that I peruse often, ScotlandsPeople is one of my favorites. As the National Records of Scotland release information about the various years of valuation records, ScotlandsPeople publishes a bit about the more interesting people. Today, Prince Vallar caught my eye as I was scrolling through. My son and daughter-in-law own Rocksteady Tattoo in Ft. Collins, Colorado so it was interesting to read about the first “professional tattooist” in Scotland. Patrick Henson was born in Ireland in 1888 and by 1911 had taken his father’s stage name of Vallar and was living in a flat in Glasgow, making visits to the upper class homes as a “society tattooist”. By the 1870s tattooing had become fashionable among some members of the upper classes, including Edward VII and George V. In 1898 it was estimated that as many as one in five members of the gentry had tattoos. The middle class did not follow the trend, but tattooing continued to be poplular amongst sailors, mostly as a unique way of identifying a sailor’s body should he become lost at sea. As the fascination with tattoos declined amongst the gentry, Prince Vallar opened a tattoo stand on Leith Walk in Edinburgh. After serving in the First World War, he returned to Glasgow, and in 1934 Vallar opened the first bona fide tattoo shop in Scotland. Prince Vallar’s shop was well-known and flourished. 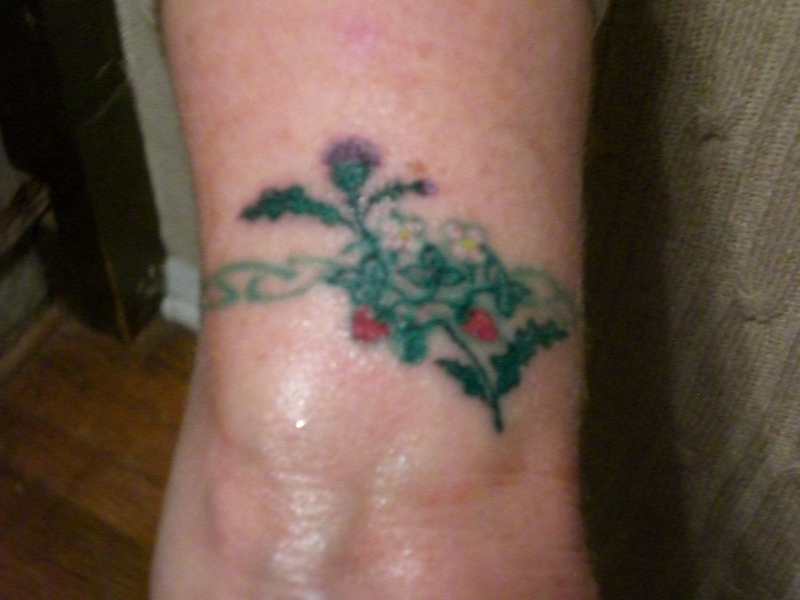 His single needle freehand sketch-like designs used simple coloring and gave him world-wide recognition. Prince Vallar’s sons apprenticed under him for a decade, and when he died in 1947, Stephen and Robert (Bert) kept the business going until 1965. Stephen was not happy working at the shop, and in 1953, he left it completely to Bert. Although later in life, Bert would change his career to photography, the time he spent at the shop on Argyle Street in Glasgow allowed him to become a world-famous freehand tattoo artist in his own right. See photos of their work here. This entry was posted in Ancestry, Eco-travel, Ecology, Land trust, Scotland, Scottish ancestry, Travel, Uncategorized and tagged hisory of tattoo, Prince Vallar, Rocksteady Tattoo. Bookmark the permalink.